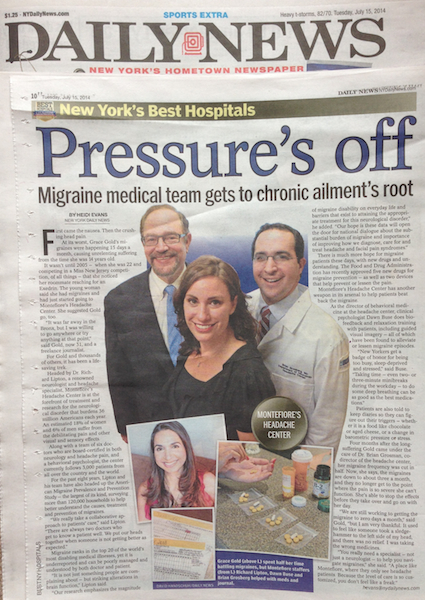 Grace is a lifelong chronic migraine sufferer who has traveled a long journey to transform her personal health. She speaks and writes to bring awareness to the public, and her migraine story has been featured by PBS, the New York Daily News and ABC New York, and more outlets. Her mission is to help others bridge the gap between western and eastern medicine, incorporating both the medical expertise from leading doctors and holistic wellness lifestyle strategies that have been integral to her healing. Grace’s migraine stories and broadcasts are found below.